Fibrocartilagenous Embolism (FCE) is commonly described as spinal ‘stroke’, which is usually diagnosed in absence of any other explanation for symptoms on x-rays, myelogram or MRI scan. FCE is a condition involving necrosis (cell death) of a region of the spinal cord secondary to an obstruction of the blood supply. The obstruction is caused by fibrocartilage, which arises from part of the intervertebral disc (the shock absorbing material located between bones in the spinal column) and enters a spinal artery or vein. The cause of FCE is unknown. It is also unclear as to how the fibrocartilaginous material enters the bloodstream. Giant and large breed dogs are most commonly affected. It may also occur in smaller dogs, with an apparent predisposition in Shetland sheepdogs and miniature schnauzers. Most affected animals are 3-6 years of age and male dogs are slightly more prone to FCE than females. Although FCE has been reported in cats, the condition is very rare. The dog will usually suddenly collapse during vigorous exercise with differing degrees of paralysis which may involve 1-4 limbs and hemiparesis (fore and hind limbs on one side). 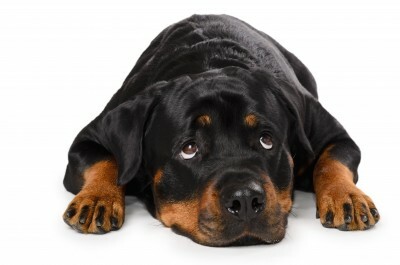 It is generally considered to be a non-painful condition, although owners often report apparent pain or vocalisation when the signs first occur, and typically they make a partial to full recovery in 6-8 weeks (in some dogs it can take much longer to recover), some dogs make an incredible recovery in 7-10 days. When a dog has suffered spinal injury, it is advisable to restore movement gently and steadily. Hydrotherapy is an ideal form of exercise as the warm soothing water encourages movement and gentle massage and stretching of the limbs in the water will encourage circulation. Following spinal injury it is vital that exercise is carefully controlled and that the dog’s movements are restricted and supported. Swimming is an excellent way to improve circulation and encourage mobility within these restrictions, without putting any undue pressure on the spine and joints. Muscle can again be built up successfully to support the affected less stable areas. Often there is temporary paralysis of the hind limbs post spinal injury. The use of a water current played onto the top of the paws promotes a swimming reflex movement resulting in limb movements that the some dogs cannot make consciously on land. This kind of exercise in water is one of the ways of maintaining fitness whilst waiting for inflammation to decrease and nerve repair to take place. Some dogs need to swim for a short time every day for perhaps a couple of weeks followed by longer sessions perhaps three times per week. They often do well quickly. Other cases have improved significantly, but very gradually over a period of months. There are others who continue to make improvements over a year after injury. Dogs whose prognosis was poor have often made amazing progress and an important element in this is their own ‘’will to succeed’’. Not all dogs do make a full recovery to walk unaided but they may still need to swim to keep mentally bright and maintain cardiovascular fitness.